Since I'm not the biggest fan of reviewing games, I decided to rate the characters in them. Here you'll find a series of crazy ratings, back stories, and the reasons why I love these characters. Generally I'm going to be talking about all of the horses in Skyrim. If you're a fan of the game and know how gravity does not apply to animals in this game you're going to love this. 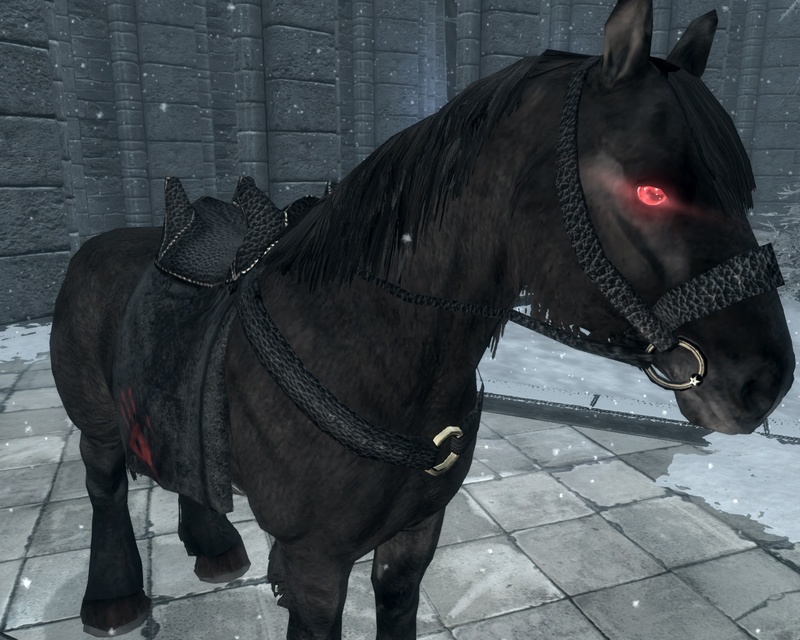 Shadowmere himself is a horse that the Dragonborn gets after completing all of the main missions in the Dark Brotherhood. His original owner was Lucien Lachance. Astrid the guild leader of the Dark Brotherhood allows you to "borrow" Shadomere to complete the quest The Cute for Madness. 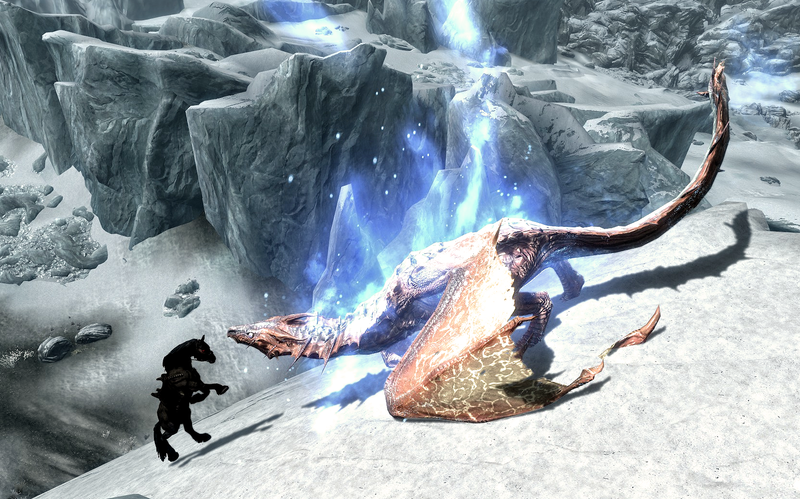 She later end's up giving Shadowmere to the Dragonborn. Shadowmere is the best horse I've ever had. He's probably killed more dragons than I have in all honesty. If you are looking for a horse who won't die on you, this is the perfect horse! Not even to mention his amazing ability to defy gravity in the greatest ways. Many fans of the games follow the running joke of the fact that horses, if walking slow enough or if pointed in the right direction, can easily find their way up the steepest of mountains. 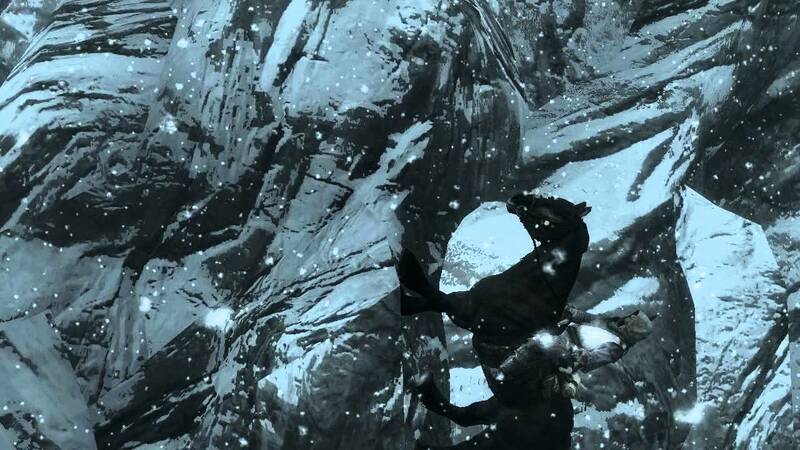 This has to be my favorite trait of the horses in Skyrim.